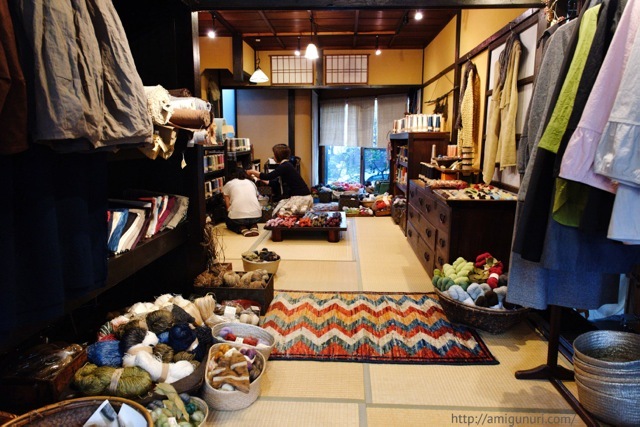 Just get to Kyoto I went to Habu Textiles. 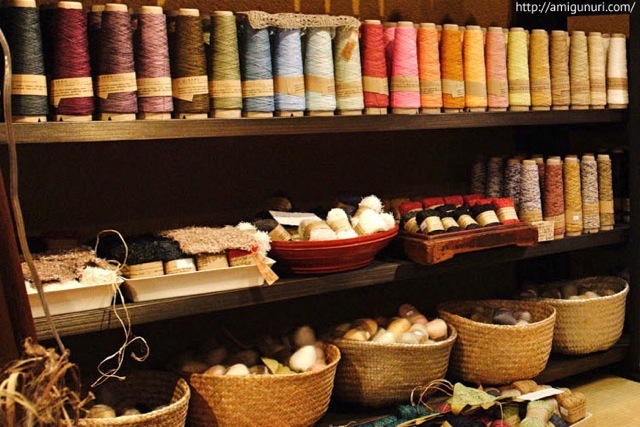 I met his wonderful yarns in New York store, and I did not want to miss the opportunity to visit them. What a beauty place! When you enter you can see the delicate Ripins chloting. I love her designs. You take off your shoes and you comin into the world of exquisite yarns. 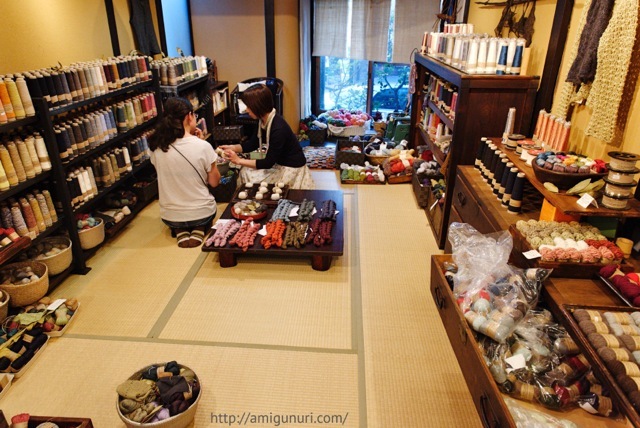 I wanted to take all of them… As I took the difficult decision of choosing, they offered us tea. Although we could not communicate through language, we understood quite well. 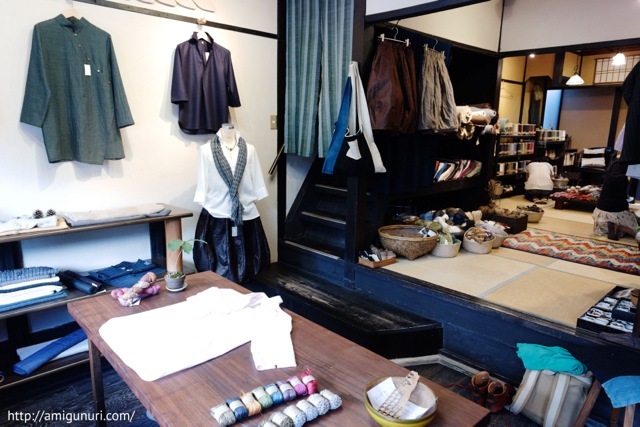 Habu Textiles is located in a peaceful neighborhood, near the famous ‘Philospher’s walk’. Even the store entrance can go undetected. 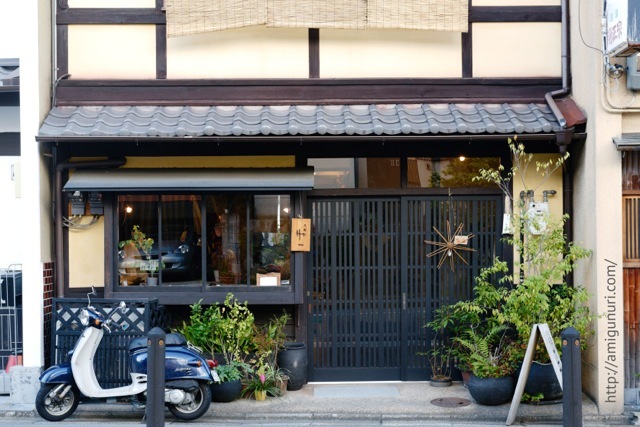 It is a little treasure of Kyoto city that is not in the guide books. Do not miss it! 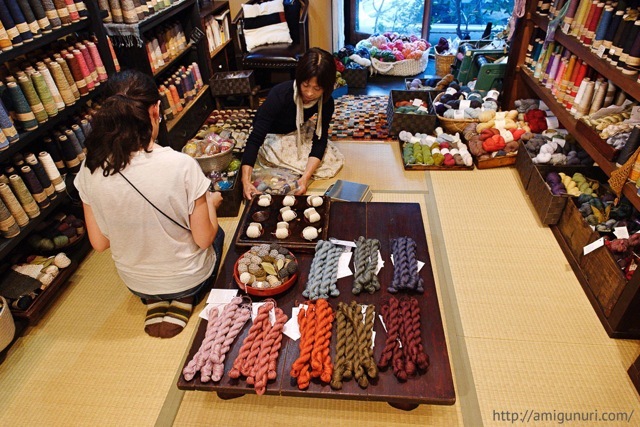 Have already passed a few months and I have not yet decided what knit with the threads I bought.